The economy expanded moderately in August, some districts more than others, according to the August 2018 Beige Book from the Federal Reserve (Fed). Overall, home construction was up modestly in most districts, but home demand, in general, was “softer” due to low demand and low inventory. 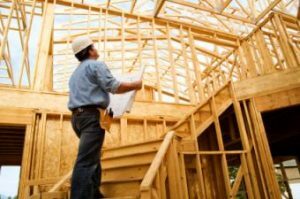 Even with new home construction up, builders are struggling to meet demand in many districts, due to a short supply of labor. For example, the Federal Reserve Bank of Richmond’s Fifth District reports that even with new home construction and sales, builders are facing missed deadlines due to a shortage of qualified roofers, framers, and siding crews. Additionally, the Federal Reserve Bank of Chicago notes that builders have reported rising labor and materials costs, leading them to focus on higher-margin higher-end homes in spite of strong demand for starter homes. The Census Bureau’s recent Employment Situation Summary shows that the construction employment situation may be improving. According to the report, construction has seen a trend upward in employment, up by over 23,000 in August, and up by 297,000 over the year. The short labor supply in most districts reported by the Fed is boosted by the moderate increases in employment. According to the Census Bureau, unemployment stayed relatively steady in August at 3.9 percent as of August 2018, while the number of unemployed persons remains relatively unchanged at 6.2 million, and job growth overall has increased moderately. According to Fannie Mae, the increased employment levels have led to an overall more positive sentiment among homeowners. Fannie Mae’s Home Purchase Sentiment Index was 88 points in August, up 1.5 points month over month.